Last week we introduced to you the list of the northern Italy Unesco World Heritage sites. This time we move a little more southwards and travel across the regions of Tuscany, Emilia-Romagna, Lazio, Umbria and Marche. As you can image, Rome and Florence are included in the list of the Italian UNESCO World Heritage sites. But which are the other places that have been declared world heritage? Probably you don’t know them at all or maybe (I hope) you have been there once. In any case pack your luggage and come with us! This part of Florence includes the most important masterpieces of the city. I’m talking of Santa Maria del Fiore Cathedral or Palazzo Vecchio. Florence is the symbol of Renaissance and wherever you will go you will be surrounded by the “atmosphere” of that period. It’s quite a concentration of renowned art works and I am not considering the museums and what they preserve. The city was also a point of reference for the architecture not only in Italy, but in the entire Europe. The historic centre was declared Unesco site in 1982. Piazza dei Miracoli means ‘square of miracles’ and is one of the most famous Italian squares. This particular name was given by Gabriele D’Annunzio, an Italian writer and poet, who in one of his novel called the square ‘prato dei Miracoli‘ (i.e. meadow of miracles). It is dominated by 4 religious builidings: the Cathedral, the Baptistery, the Bell Tower and the Monumental Cemetery. San Gimignano is situated at the halfway between Florence and Siena. It was a towered town as many others in the Middle Ages. 14 out of 72 towers have been preserved. In 1580 they were 25. The most ancient one is Torre Rognosa (51 mt.) and the highest one is Torre del Podestà or Torre Grossa (54 mt.). In 1255 a regulation prohibited to the private citizens to build higher towers than the Torre Rognosa – the highest at that time -, even if the most important families erected two towers a little shorter to demonstrate their power. 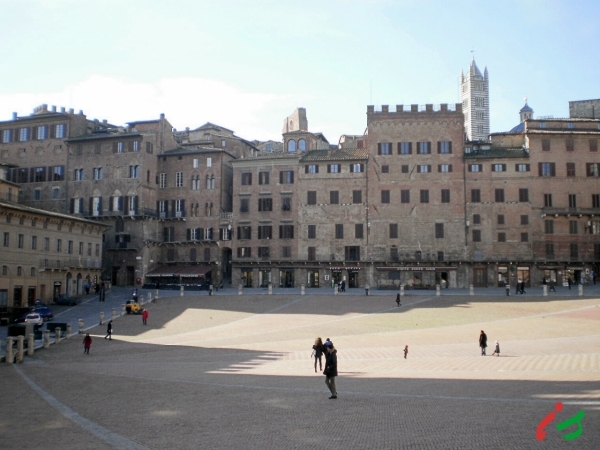 Piazza del Campo in Siena is a vibrant and world-famous square. I have a deep love for the city of Siena. Probably because since I was 2 years old I have been going there so many times. I can walk among its streets and alleys and completely lose myself. But I just need to look around me and I find the way home. Siena and its city centre is an example of the Tuscan Gothic. Together with Florence and Pisa, Siena is one of the best Tuscan destinations. Pienza is located between Montalcino and Montepulciano. Its historic centre is worth the ranking among the Italy Unesco World Heritage sites because it represents the first application of humanist urban planning concepts: thanks to Pope Pius II in 1459 Pienza became the first city to be transformed according to Renaissance Humanist ideas of urban design. It reflects the ideal of the good governance. Why? Because in the Renaissance was carefully redesigned. I believe that you know perfectly what region I am talking about. If you think of Tuscany right now, which is the first image that comes to your mind? That is Val d’Orcia. Cultivated hills broken by gullies and scattered by little towns like Pienza. From the 15th to the 17th century the Medici Family built villas with gardens from Florence arriving not far the Thyrrenian coast. UNESCO accepted its nominee because the Medici Family was able to combine aristocratic residences with gardens in a natural environment. A way of building spread in all Europe. Rome is the city with the highest number of monuments in the world. The Trevi Fountain, Piazza di Spagna, the Imperial fora… I’m sure you have heard about them. When you walk throughout Rome everything is a World Heritage. Amazing, isn’t it? But you have not to forget that also the properties of the Holy See in Rome are included as the Basilica of Saint Paul Outside the Walls, that is situated outside the walls. 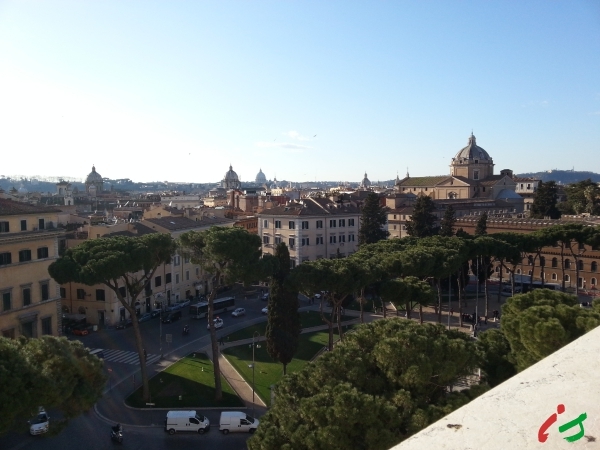 Many of you think of the city centre of Rome as the only place to visit when there. But if you plan a day trip outside the Italian capital you will find some great treasures. Villa Adriana and Villa d’Este in Tivoli are just an example and they are in the World Heritage sites list too. They are in Renaissance style and their gardens are two of the Great Italian Gardens having a large influence on European garden design. 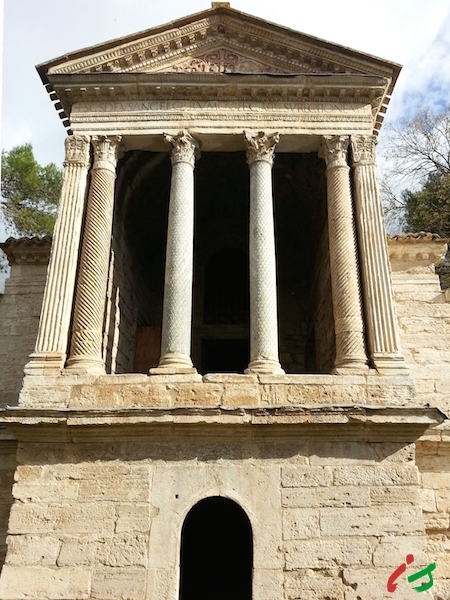 Tempietto del Clitunno is in Spoleto, Umbria and declared Unesco World Heritage site. Another day trip you can plan from Rome is to Cerveteri and Tarquinia. Before the Romans in Italy there were many populations. One of them – subdued by Romans – was the Etruscans. They left us many proofs of their passage. UNESCO declared the necropolises in Cerveteri and Tarquinia World Heritage thanks to the wall paintings showing scenes of Etruscan daily life. In Rome there is the National Etruscan Museum. Have you ever heard about the Da Montefeltro family? Maybe not, but they had a great importance during the Renaissance. Their main centre was Urbino in the north of the Marche region and their duchy included the territories until Gubbio in Umbria. You find some buildings owned by the family also in Romagna, such as San Leo. As many powerful Renaissance families they hosted into their palace some of the important artists of that time, like Raffaello Sanzio born in Urbino. Apart from the Palazzo Ducale I suggest that you visit the National Gallery of the Region and the Raffaello Sanzio’s House. Renaissance was a flourishing period in Italy. Our country was divided in duchies for many centuries and one of them has its seat in Ferrara: the Este family. In 1597 the last heir died and the territories went under the Papal State. Its beauty and cultural importance was worth its nomination as Italy UNESCO site. Ravenna is always mentioned in the Italian history during the Roman period. It was the capital city of the Roman Western Empire and the Kingdom of Ostrogoths, formed the Exarchate and was the seat of the Kingdom of Lombards. Generally Ravenna is not included in the classical touristy paths, but its heritage is worth a visit: in the UNESCO monuments you will find unvaluable well-preserved mosaics. I’ve never been to Modena but I have passed through by train many times reaching Milan. It is located in the Food valley, the paradise of food lovers. The city is renowned for its balsamic vinegar rather than its UNESCO monuments built in the 12th century during the Early Romanesque period. 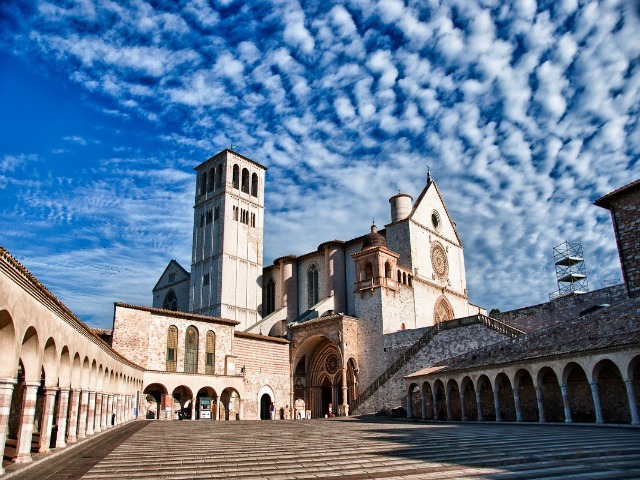 The famous basilica dedicated to St. Francis in Assisi, Umbria. Assisi has a special place in my heart. I spent there 3 years studying at the university and I had many occasions to visit these sights. Above all the Basilica of Santa Maria degli Angeli, which finds in the plan – Assisi is on a hill – and not far from the University seat. Inside this Basilica there is a statue of St. Francis where 2 doves roost never leaving the statue. As in the northern Italy, there are two examples of Lombards period here too. They are San Salvatore Church in Spoleto and Tempietto del Clitunno, not far from Spoleto. I visited the second one and I will tell you about it in the next days. It is quite a misterious place and close to it there are the Clitunno‘s springs mentioned also by Byron. Our travel among Italy Unesco sites in the middle area of the country is ended… for this time. I’ll wait for you next week to show you which World Heritage sites are in the south of Italy.